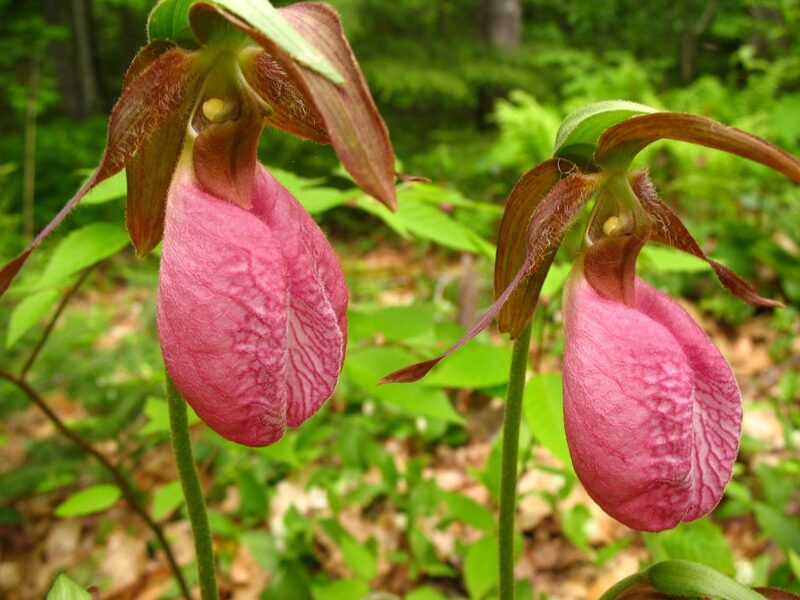 The lady slipper orchid is one the most beautiful wildflowers found in the Cherokee National Forest. It blooms May thur early July and is dotted through out the Ocoee River George. Growing 8 to 12 inches tall this orchid is easily identified by its unique appearance. Its petals are shaped like a bulging pouch that resembles a lady’s slipper. The blooms can last up to six weeks and are a blush pink color. These rare plants require acidic soil so the best place to see them is near stands of pines trees. This makes the hiking trails around the Ocoee White Water Center a great place to look for them. There are trail options for both beginners and experienced hikers. Trail guides can be found inside the Ocoee White Water Center. Lady slippers are slow growers and can take up to seven years to fully mature. They also require a special fungus for proper development and nutrition so if you see one of these beautiful ladies take only pictures and help us spread the word about this amazing wildflower. 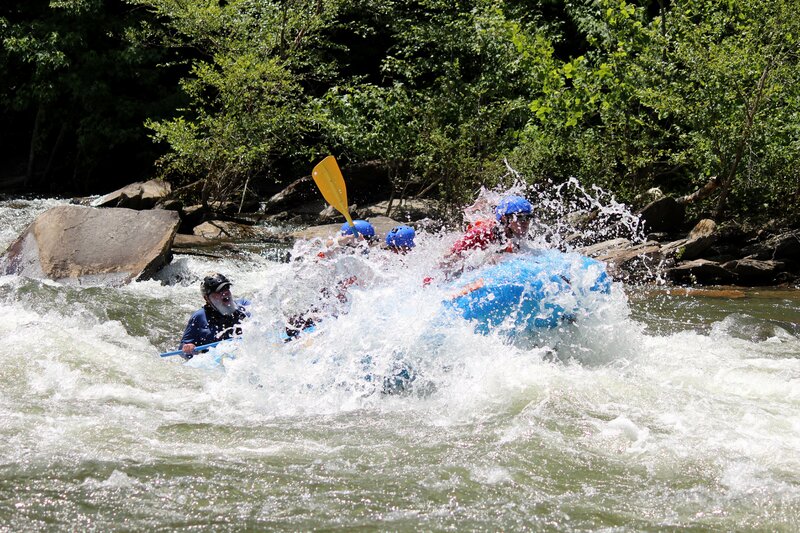 Everything The First Time Whitewater Rafter needs To Know! All rivers are different and can accommodate different skill and experience levels. There are lots rivers that are good for beginners and for seasoned paddlers alike. 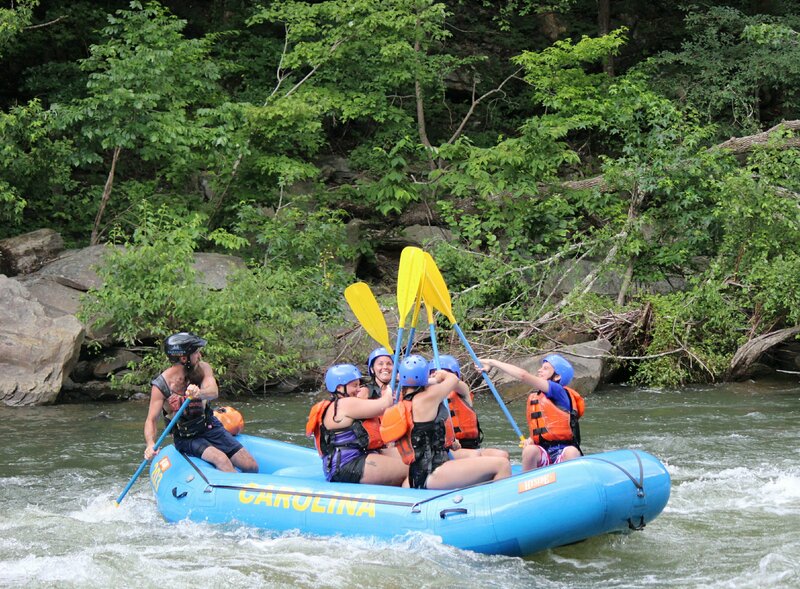 Always research the difficulty of a river before you go so you can pick the best adventure for you and your group. We use the International Scale of River Difficulty which uses a Class I -VI system. In today’s world we are accustomed to taking our devices everywhere and posting our adventures in real time but, consider turning off your devices. Leave your cell phone in the car. JUST UNPLUG! Most cell phones don’t get good reception on the river anyway. Live in the moment, open your mind to the splash of water, the flow of the river and the chatter of your friends and family. Just be present. Always wear sunblock! Even it it’s a cloudy day. The suns rays bounce off the waters shiny surface and make it easy to get sunburned. If your on a full day trip a second coat of sunblock at lunch is a good idea. Paddling can be hard work so it’s always a good idea to be properly hydrated before your trip. Taking a extra bottle of water along is handy for hot sunny days. P.S. A hardy breakfast goes a long way to! If you want to keep it, don’t bring it. Each season someone’s expensive camera or cell phone either gets wet in its waterproof case or is lost to the whitewater. Heirloom rings and necklaces are not replaceable so it’s best to leave them at home. Quick dry or athletic clothing is a great option because its light weight, drys quickly and often times has UV protection built in. During early or late season trips wool and fleece are good. If it’s cold, a dry top or wet-suit can make all the difference. If you like to wear sunglasses they definitely help on a sunny day but, remember you could lose them so bring a cheap pair. Water shoes are made for the water so they are more comfortable wet and help protect your feet with the added bonus of drying quickly. Don’t forget to bring a change of dry clothes and a towel for after your rafting trip. 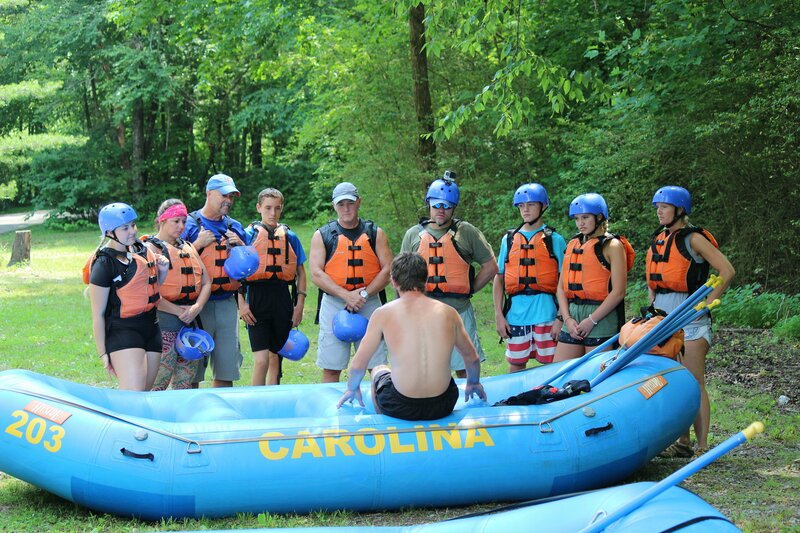 Before you set out on the river you will need your equipment (Helmet, Paddle, Personal Flotation Device or PFD, Etc).Your Guide and other staff will be on hand to help you make sure your gear fits properly. Once you get on the river make sure to always keep your gear on and snugly fastened. That way if you go for a swim your PFD can do its job. What to do if you fall out. The guide will also know whats ahead and where to paddle hard and where to relax. If you have questions at any time just ask, guides are always happy to help. 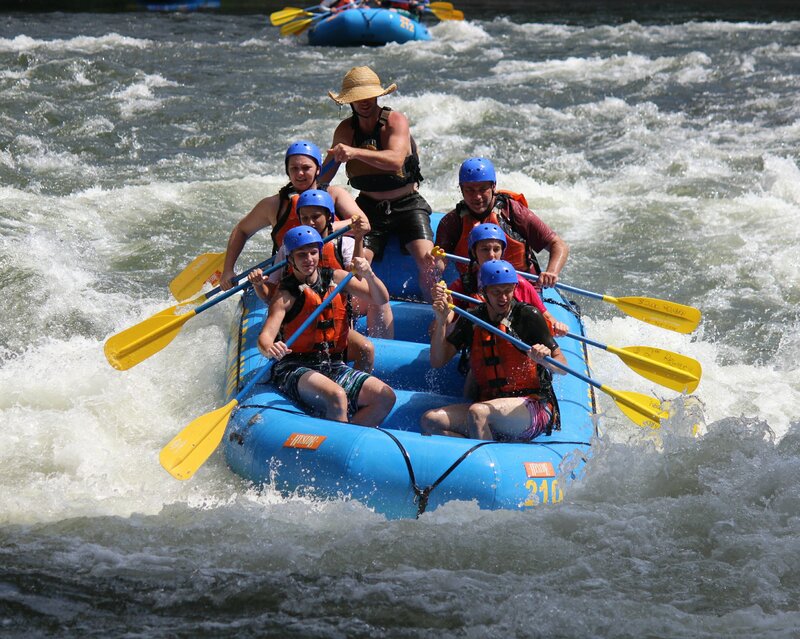 Rafting is a team sport and never is it more evident then when you paddle. 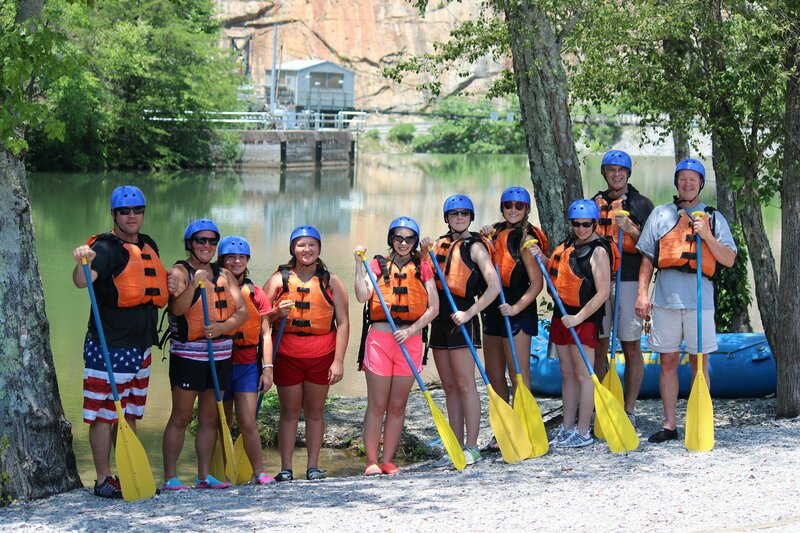 Paddling together as a team makes all the difference when navigating through tough rapids. It provides power and maneuverability for your guide to put the raft where it needs to be. Your guide will go over paddle commands so when you hear them you will know how to stay in sync with your team. Now that you know the basic format of a whitewater rafting trip, you can quit stressing about every little detail and focus on what matters. 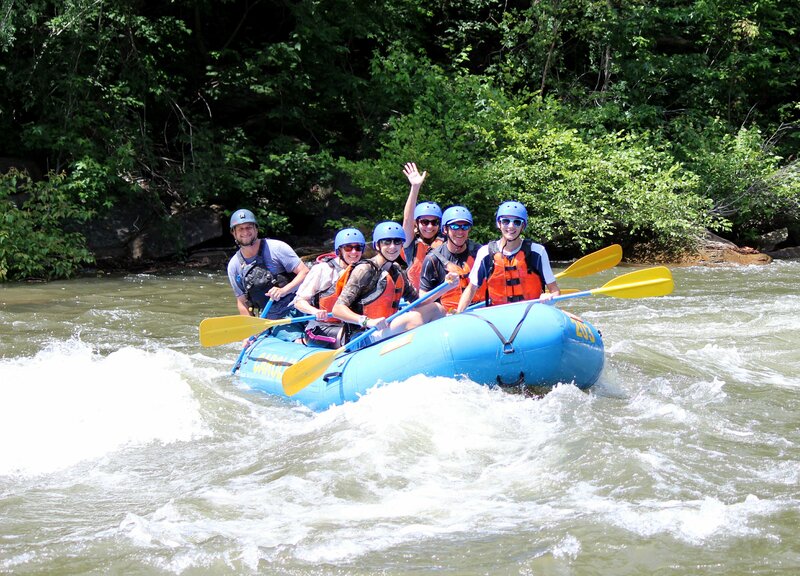 Your first whitewater rafting trip is always a amazing experience. Enjoy it!